Let’s introduce this review by discussing ring lights in general. It’s a very specific piece of equipment that can prove to be extremely versatile. The primary purpose of a ring light is to shoot through it so that undesired and unflattering shadows are eliminated or diminished. Under-eye bags are easy to get rid off with this kind of lighting, and large skin pores don’t look as terrible anymore either. It can be used as the key or only light, but it can also be used as fill. When used as a key it creates a unique look that you either like or hate. It’s undoubtedly not a look you’d want to use on every single shoot, but it can be fun for specific projects. As a fill, it’s a fantastic tool to diminish imperfections. Some fashion and beauty photographers love to use it to either cut retouching time a bit or compensate for poor lighting. 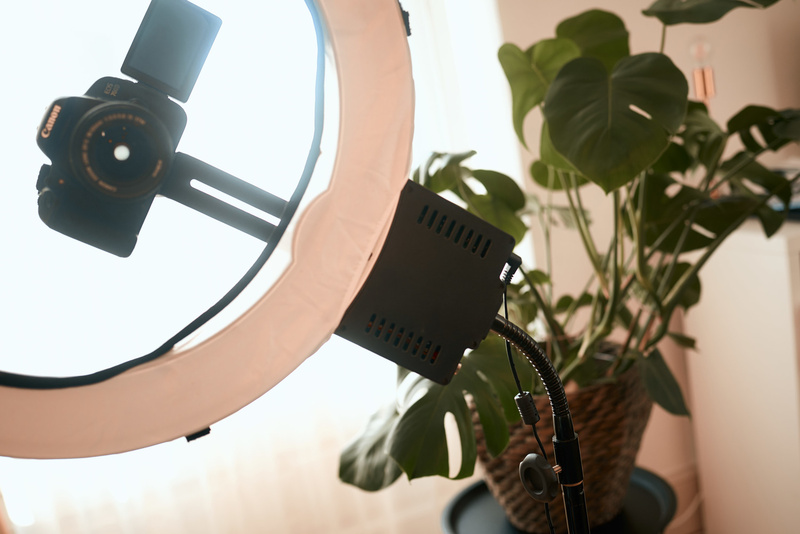 A ring light can also be used similarly to a softbox, placed off camera. 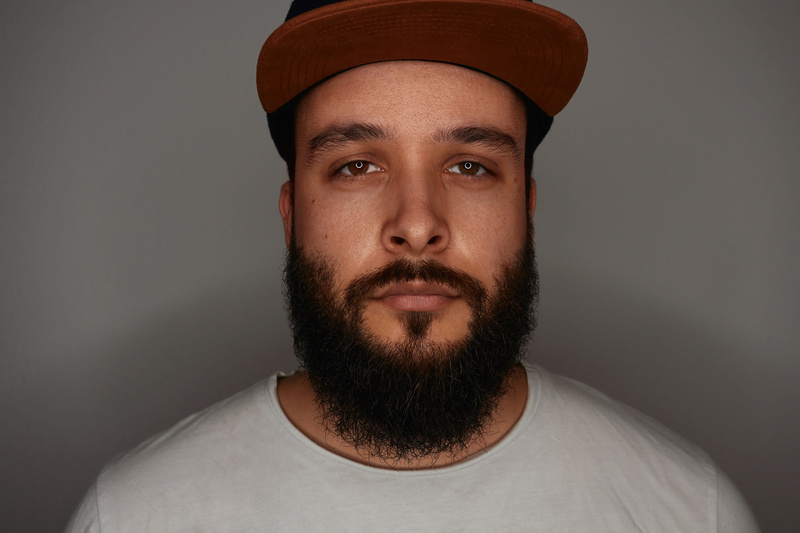 It then loses its primary purpose, but if you don’t want to invest in multiple pieces of equipment, the ring light could be a great solution. 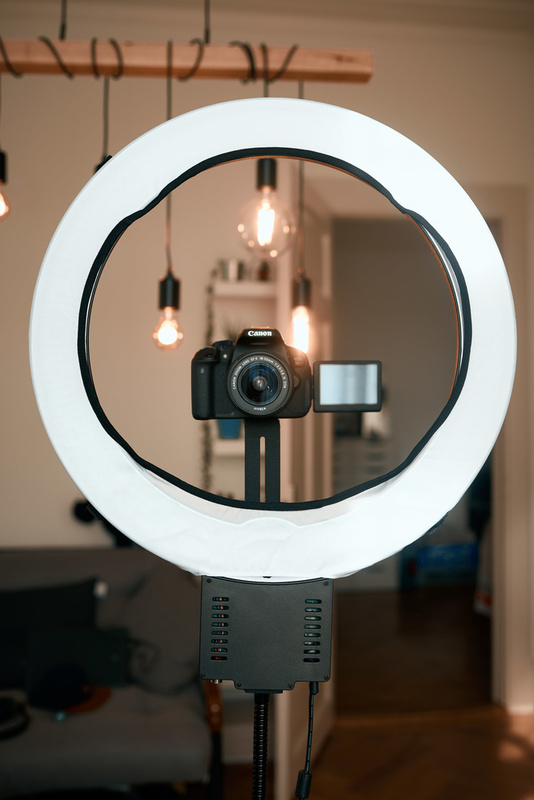 With that said, let’s discuss more specifically about the one I tried over the past few weeks: the Angler Circo LED Ring Light 19". The Angler Circo is 19" wide in diameter, which makes it quite large. Being used to flash ring lights, I felt like this was quite big. I found it very helpful to have such a large ring light as it creates softer shadows behind the subject – which is handy when the light is used in a multiple lights setup. 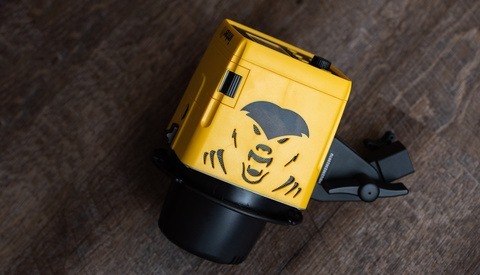 The unit is rated IP20 which doesn’t say much aside from the fact it can resist dust and objects bigger than 12mm. Perhaps it’s a marketing trick try to lead people to think it’s very resistant, but the unit isn’t the sturdiest I’ve ever seen. It’s well made and sturdy enough when used inside, but it’s definitely not something I’d take anywhere on location with me. If you are in the beauty industry, you’ll appreciate that it’s relying on LED so it doesn’t produce any heat. Even though it doesn’t have a cooling system, I’ve never felt that it was heating to the point I’d notice it even after an hour of use. The brightness can be adjusted using the dimmer from 0% – which stands for minimum power – up to 100%. Now, don’t ask me what 100% stands for, I couldn’t find anywhere in the documentation any information regarding brightness, lumens, or any other information regarding the amount of light it outputs, but it's the maximum power. All I can show you are the below pictures shot at ISO 100, f/5.6, and 1/50s in a pitch black room. The light was around 5 feet from the wall photographed – the same setup and settings were used to photograph the portrait at the beginning of the article, the light was at around 80% of its power with the subject being between the wall and the camera. 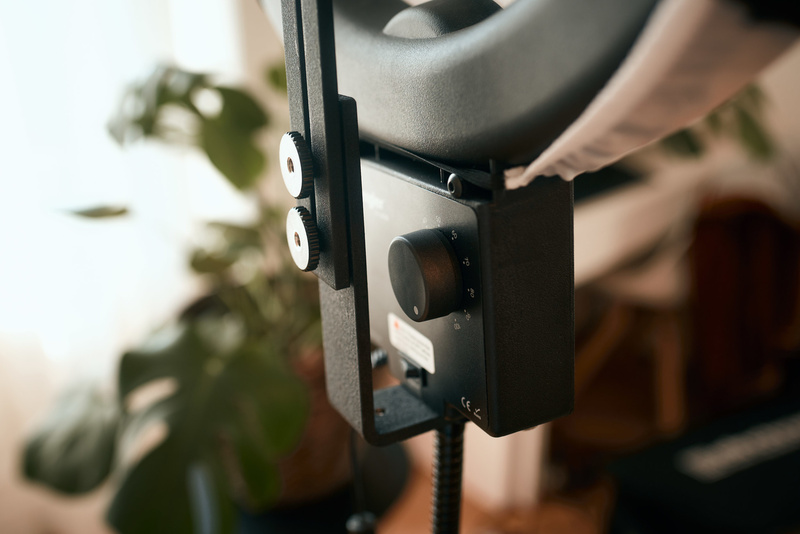 The ring light can be tilted in any direction thanks to its articulated arm. It’s handy when used as a regular light or when you need to shoot from above or below in ring light mode. However, be aware, the arm is not strong enough to hold the light if you mount a camera on it. It’ll only keep the unit in place. 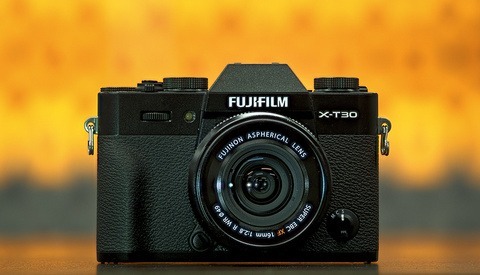 The arm can barely hold a Canon 700D, so forget about any heavier DSLR or mirrorless with a heavy lens. 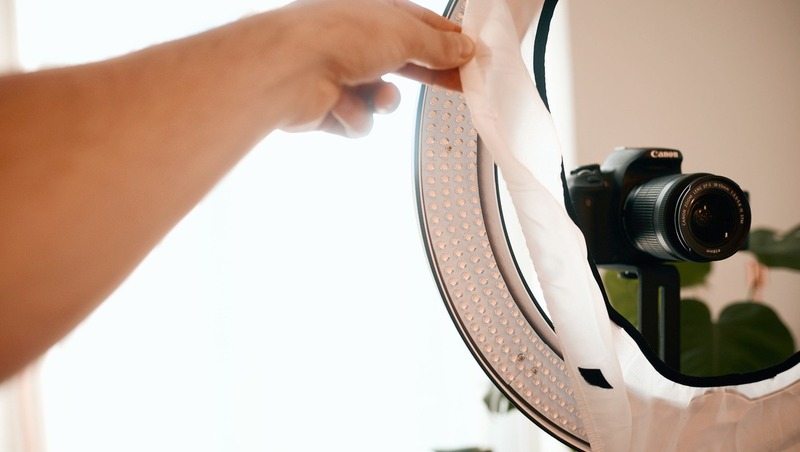 For those worried about the look of the 640 LEDs in the catchlight, the Circo comes with a diffusing cloth that’s straightforward to attach to the light and soften the light. So you won’t get 640 dots as a catchlight but a nice and clean circle instead. The unit has to be plugged to a wall outlet to work. It doesn’t rely on a battery, even though there is a port that looks like a six pin XLR – no information regarding this port in the documentation. I’m a bit disappointed that it can’t work on a battery, it’d make this unit all that much more versatile, and it’d also make it possible to get rid of the power brick it requires when plugged in the wall outlet. The block is not massive, but still, it’d have been great to have it packed in the light. Finally, two things that are delivered with the light and makes it great for makeup artists and videos makers: camera attachment and transport bag. 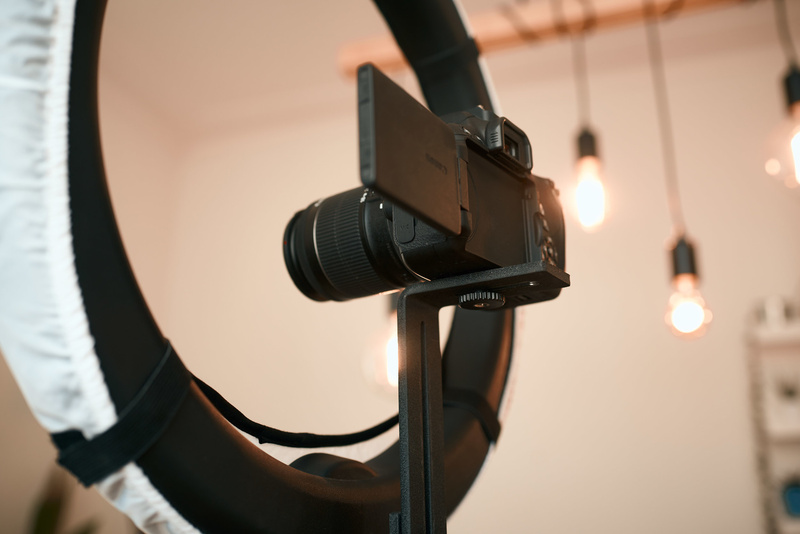 The first one is a simple piece of metal that attaches to the back of the unit and can be adjusted in height so it can place your camera in the middle of the ring. This is very useful to get the best ring light effect possible. The second one, the bag, is large enough to carry the light – with the camera mount taken off – anywhere you go. If you are traveling a lot, need light with you on jobs, this is very practical. We already briefly went over the dimmer. It’s found on the back of the Angler Circo, and it’s easy to use, turn to adjust, and you’re done. I find it much better to change power this way than having to go up and down with two buttons. It makes adjustments quick and easy to do. I wish there could be a way to lock the power though. Perhaps having to press the dimmer to turn it would avoid any unwanted change because the dimmer is so easy to spin, you might turn it without even noticing it. 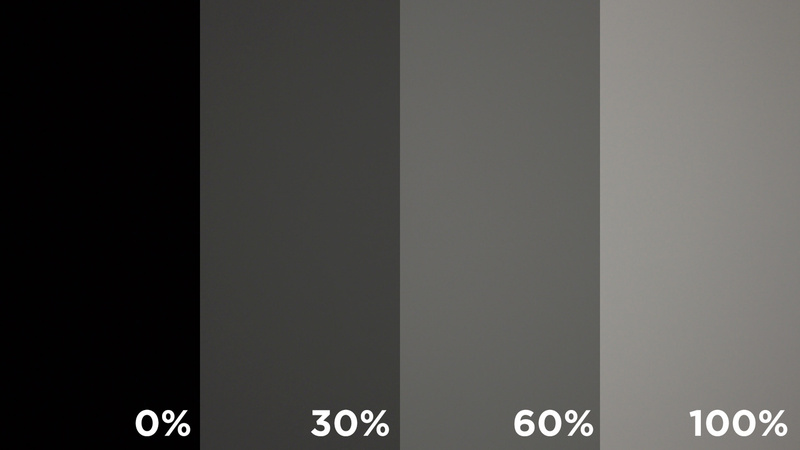 While the brightness can be adjusted, the temperature (white balance) of the light cannot. It’s set at 5500K according to the documentation, but it doesn’t say if it’s at maximum power, minimum, or across the whole power range. In practice, it seems to vary slightly with the power. The pictures shown above to demonstrate the brightness range, were all shot with the same white balance in camera. When adjust in post to match them, I had to tweak by +/-50K. I then tried to leave the light on at max power for around 30 minutes and there noticed a bigger difference. There had been a shift of around 125-150K. It’s not a strong enough difference that it’ll ruin your YouTube video, but it could be a problem if you are working on a commercial job with multiple lights on set and need perfectly accurate colors. Most cheap LED lights found on the market tend to have a noticeable pink or green shift for some reason. When I saw this light being sold for under $300, I was sure it’d have a green or pink tint. But to my surprise, it doesn’t! 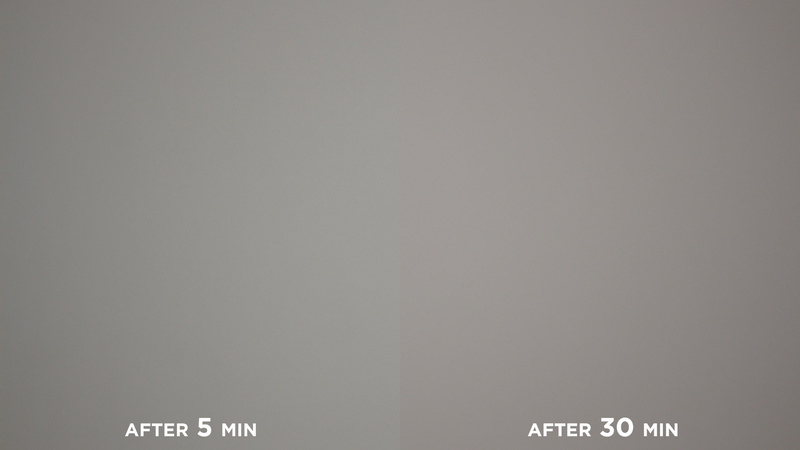 I took pictures of a blank white wall and of my seamless white backdrop paper, but there is no color cast! It’s probably the best feature of this light for this price point. The Angler Circo is available for $199 in its CI-LR20 version - the one I reviewed – or for $299 in its newest version, the CI-LR21. The newer one seems to have a new diffuser, but other than that I couldn't notice a difference in specs or by looking at the pictures. The Angler Circo LED Ring Light is an excellent light, not just a ring light. 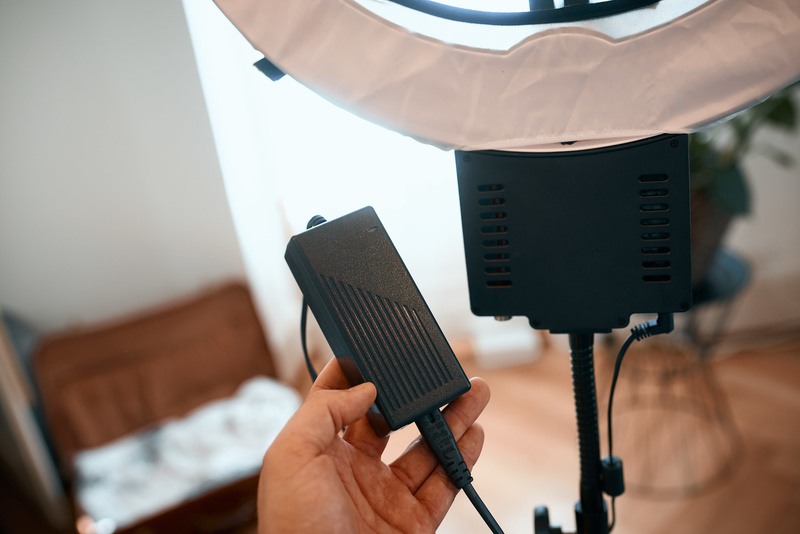 I’ve used it to shoot videos for my YouTube channel, and my girlfriend who is a makeup artist has used it to have more light for jobs on location. 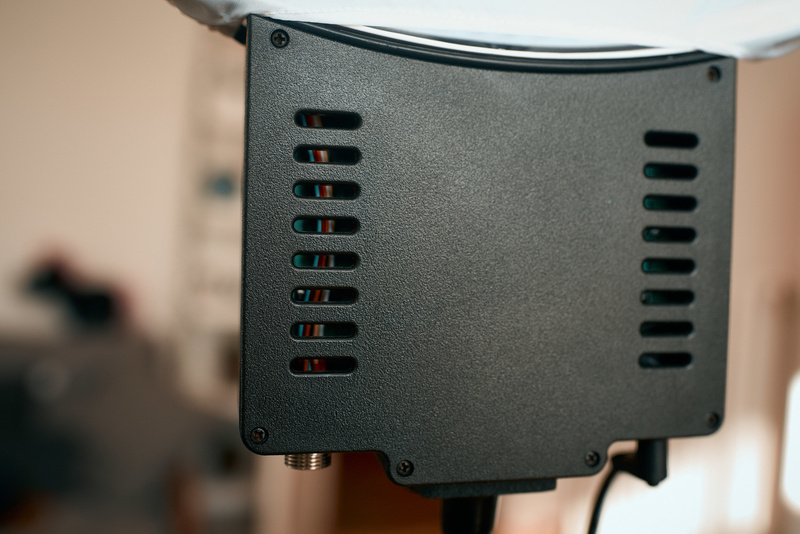 It’s easy to transport, bright enough for most situations, and the color temperature is very good. For the price, it’s tough to beat and I'm already considering getting a second one. 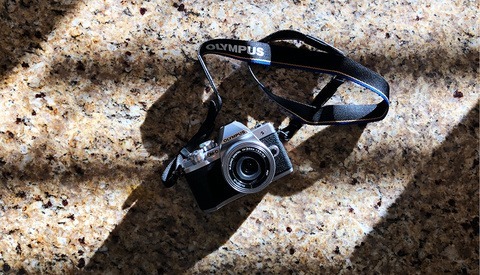 I'm glad to see these LED reviews keep coming, but still looking for one that makes sense as a portable-ish portrait light at the hobbyist level. Sounds like the industry is getting close though.